This is a pair of 1.9 Single Stage Closed Cell Foams for Rock Crawlers. Pro-Line is proud to introduce our next generation of Rock Crawling Performance Foam Inserts: the all-new 1.9 Single Stage Closed Cell Foam! 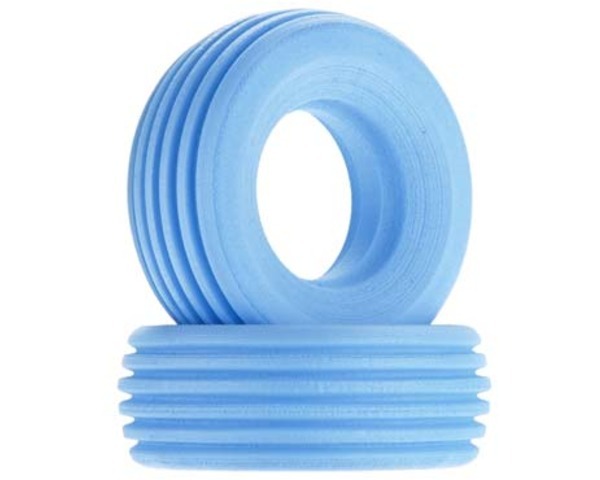 Pro-Lines new inserts are made from light weight and waterproof Blue Closed Cell Foam and they are perfectly sized for Pro-Lines 1.9 XL sized Rock Crawling Tires. These new inserts are completely contoured to correctly match the shape of Pro-Lines tires for improved tire performance and appearance. Deep grooves along the top of the foam provide a softer feel for more grip while maintaining a fully supported sidewall for maximum side-hilling performance. Pro-Lines new Closed Cell foams are extremely durable and will last through many rugged adventures.